H/H-ers are welcome to visit for brief periods, but the minute they try to convert crew members, they will be keelhauled. Be warned, if an H/H-er stays for an extended time, he or she may be led away to our clinic by Counselor Kelley for gentle deprogramming. The suggestion that Hermione should be with Draco is cause for immediate loading into one of our canons (yes, canons) and being launched over to the SS Leather Trousers. 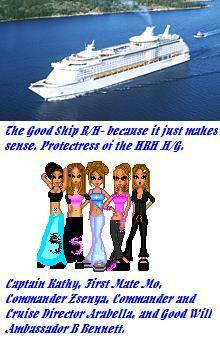 HRH H/G travels alongside the Good Ship R/H for protective purposes. 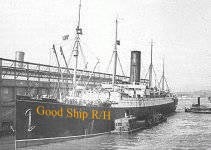 Any visitor who is unable to be nice to the H/G is advised to remain on the port side of the ship away from temptation to taunt. Anyone taunting the crew of the H/G will find themselves burping slugs for several hours. Watch out for the Canary Creams. It shall be the responsibility of the First Mate to provide Minutes for each Official Sugar Quill Summit in a timely fashion. "Timely" shall be defined here as a period not to exceed two (2) weeks after the Summit has ended. In cases of dire need, and extension may be given (subject to the approval of the Captain), but under no circumstances shall the Minutes be released less than two (2) weeks before the next Summit. Failure to obey this regulation shall result in dire punishment, including, but not limited to: whining, nagging, badgering, withholding of stories, and being forced to withstand extended discussion of evil and/or unnatural pairings. List courtesy of Amy Z; offered not as proof of a romantic attachment between Ron and Hermione, but simply as proof of the great friendship between the two. Thanks for letting us post this, Amy! July 11, 2003 JK Rowling is R/H - what other proof do we need? 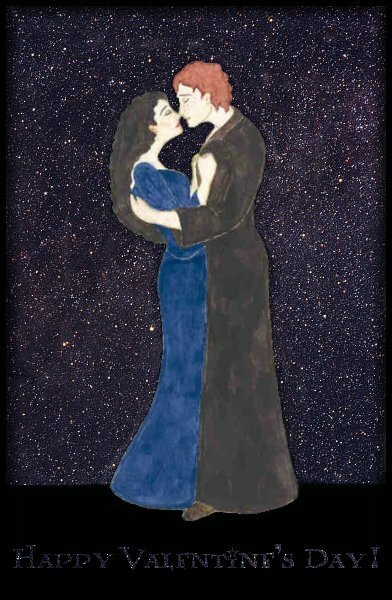 A Desktop image by Prettyannamoon! 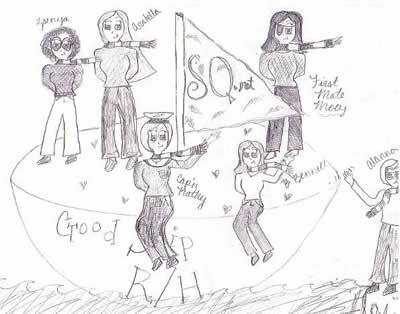 Meet the Crew of the Good Ship R/H! Attache to the Fist Mate and Ensign Melissa A.